When the theory does not fit, think again. Guido Calabresi is the author of “The Future of Law and Economics: Essays in Reform and Recollection”. For the last 50 or so years, there has been no approach to law that has been more influential than the use of economic theory to look at what the legal system is doing, and to rely on that theory to confirm or criticize the law. Guido Calabresi is the author of "The Future of Law and Economics: Essays in Reform and Recollection"
For the last 50 or so years, there has been no approach to law that has been more influential than the use of economic theory to look at what the legal system is doing, and to rely on that theory to confirm or criticize the law. While I believe this to be an immensely useful endeavor, I also believe that the approach has increasingly been misused. It has, I fear, frequently led to unjustified policy proposals that are, incorrectly, put forth as "scientifically" required. All too often, lawyer-economists use economic theory to examine the legal world, and if the theory does not justify and explain what is going on, these scholars quickly declare the world (the legal rules and the behavior that brought them about) to be irrational, and hence in need of change. Sometimes they are right; the law doesn't make much sense. Many times, however, it's the theory that's lacking. Scholarly criticism of the occasional grant of punitive damages when an airline, through its gross negligence, loses a passenger's luggage, is one trivial but common instance. An example of when the law has conformed to the theory, but the world still objects, is the grant of no more than market-value compensation to homeowners whose houses have been taken by private developers through eminent domain, in order to clean up a town. The theory in such cases does not explain what people want and how the law could serve those wants. In such situations, the insights the law can provide should be used to make economic theory better. The theory will then become more useful, not only in cases in which the differences between theory and practice were identified, but in dealing with many other policy problems as well. There is nothing new in all of this. 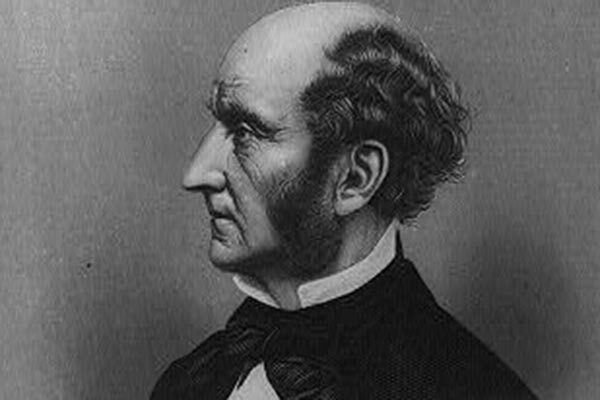 Some 150 years ago, John Stuart Mill criticized Jeremy Bentham for approaching the world "as a stranger," and, if the world did not meet his test of utilitarianism, dismissing that world as nonsense. What Bentham did not realize, according to Mill, was that often what did not fit his theory was not nonsense but, instead, represented "the unanalyzed experience of the human race." Sometimes the world was wrong, but sometimes the theory was inadequate. The job of the scholar and of the policy wonk, Mill suggested, was to help determine when the theory can make the world better and when the world can make the theory better. That is just as true today. There are many things we do, and that our laws foster, that economic theory does not explain but still make a lot of sense. Among these is the widespread existence of altruistic behavior - by individuals, in firms, and in government. Economic theory has long failed to explain why there is so much beneficence around and why so many nonprofit institutions exist. Self-interest, it is said, would be more effective in getting things done. Why then does so much altruism perdure? Similarly, lawyer-economists often criticize our unwillingness to let certain goods, like education, health care, body parts (kidneys and blood), be allocated in the market. Why don't we just let such so-called merit goods be the subject of individual purchases and sales? Prohibiting such transactions is often decried as unjustifiably paternalistic. But is it? I think not. If relatively few changes were made in economic theory - changes that are quite consistent with the field - such real-world behavior, like altruism and the treatment of merit goods, could be easily explained and justified. Moreover, that deeper and more nuanced economic theory could then be used to structure that behavior better and make the rules that accompany it more effective. That better theory will also prove helpful in many other areas. The future of law and economics lies in this sort of mutual relationship. It lies not in making law subservient to economics, but in using the analytical strength of economic theory in conjunction with the empirical insights into people's wishes that the legal system gives. So combined, both theory and practice will become better able to serve our wants and needs. Guido Calabresi will discuss his book "The Future of Law and Economics" at noon Monday at the National Constitution Center. To register, visit www.constitutioncenter.org/debate or call 215-409-6700.